The call to integrate the shadow is a hallmark of contemporary psychology and schools of personal growth. And yet puzzles remain which are uniquely reachable through an approach which includes Unique Shadow, the unlived story. Unique Shadow is the supreme gateway to Unique Self. Joe: Welcome Marc to the next Unique Self dialogue: ten minutes today on Unique Self and shadow. Marc: What a great invitation to enter the shadows. Let’s shadow-dance to the light. Joe, it’s great to hear your voice and talk to you. Let me try to say it succinctly. 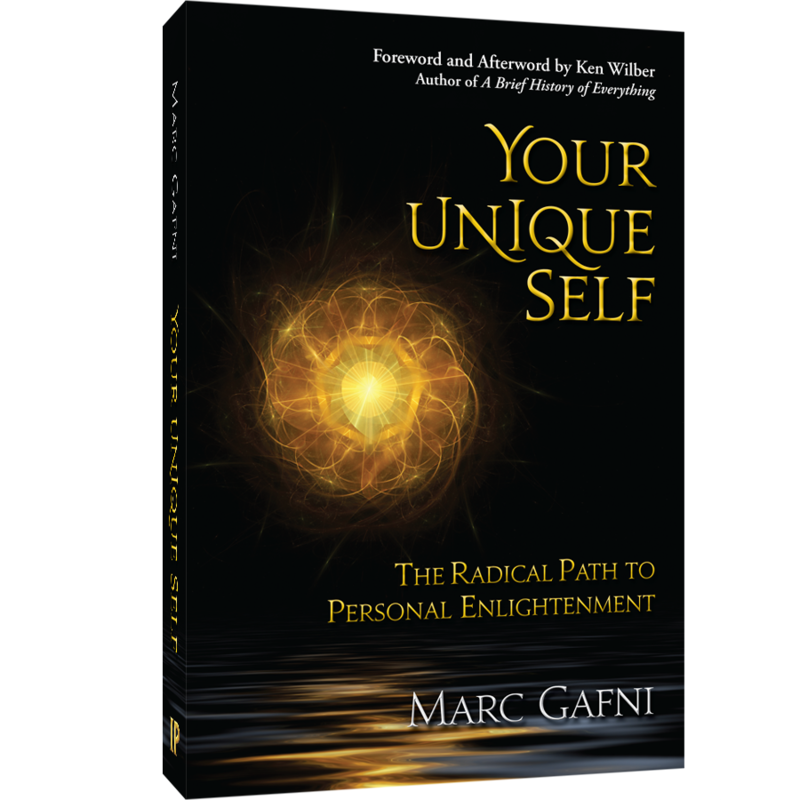 It’s a huge topic that we spent two full chapters on in Your Unique Self. Hopefully we’re going to be doing a full book [on it], with Sally Kempton. It’s one of our core projects for the think tank, which we think evolves in a profound way the shadow conversation. Let me hit four salient points. One. When you look at the literature, it’s very unclear what shadow is. One way of telling the story is that shadow is anything that is unconscious, anything you can’t locate in your first person. That’s a legitimate and broad definition of shadow. In which case, the purpose of shadow work becomes to take that which is not in first person, you can’t find in your first person, bring it in, make it part of who you are. The integration of shadow is the clarion call of modern psychology in many of its forms. Integrate the shadow. For example, Robert Bly’s little book on the shadow speaks of his desire as a young boy to kill his little brother’s desire to kill his brother. That desire is disowned. You don’t want to kill your brother. That’s a bad thing. It’s placed outside of self, and then it has effect. It drives, influences you in some way. You’re unaware of what is influencing you so you integrate it. You’re aware that you have that raw chimp primal desire to kill your brother inside of you. The problem with that story is twofold. Why should you integrate it? Actually killing your brother is not a good idea. What is it you want to integrate? The simple answer is that there is energy in that desire. How do you integrate that energy without integrating that desire? That’s unclear. A second answer that’s given is that you want to integrate the shadow because without integrating, it’s affecting you, driving you, moving you, and you become aware of it and you can have more control. Maybe. That might be true. There’s certainly some truth to it, but it’s extremely partial. What is this great grail quest to integrate shadow? Why would you want to integrate your pettiness, your anger, your rage, your deceitfulness? Is it better that you would integrate it as opposed to keeping it completely unconscious? I suppose so. But what’s the great glory of integration? Does it make it part of you? More conscious? More likely. But by making it more conscious, does it shift it? Somewhat. The whole shadow conversation is very murky, unclear. There’s a great call to integrate your shadow. But we’re not sure why, or how, or what it accomplishes. 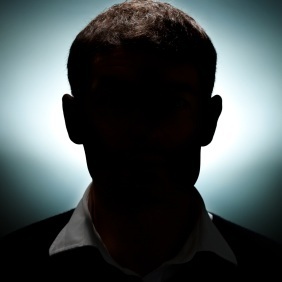 In shadow work processes, for example: one famous process that comes from many sources is called the 3-2-1 of Shadow. Our friend and integral mentor, Ken Wilber, put it together based on other processes that were in the field: you see this shadow in third person , you have this third person view, then you dialogue with that person in second person, and then you locate this quality in first person. That’s definitely a good idea. You become aware of it. But it doesn’t seem to provide the efficacy or great benefit or salve or liberation or redemption that the great clarion call to shadow integration offers. So there’s this huge lack of clarity, huge ambiguity, about the nature of shadow and the nature of how shadow work operates and what its actual goals are. You see so many times, by the way, people do shadow work and then they keep playing out the shadow time and time gain. It doesn’t seem to have any real effect. Shadow at its core is your distorted Unique Self, your unlived Unique Self, your unlived story, your unlived Unique Self story is that which we call shadow. Your story is your Light. In Hebrew, it’s the same word as sapir, like Sapphire, blue light. In Siddha yoga which emerges out of Kashmir Shaivism, bright light is always an expression of self … but skipping the symbolism, your symbolism is unlived, part of it. That part which is in darkness is in shadow. That story seeking to live itself, seeking to have itself played out, seeking its own fulfillment, demands attention. It demands attention by acting out. That acting out is what causes the manifestation of shadow qualities (jealousy, rage, pettiness, violence, etc.). Shadow qualities are actually the expression of the desire of your story, which is now in darkness and shadow, to be able to come into the light and be lived. In one sentence, that changes the game. Shadow is, at its core, Unique Self distortion… your unlived Unique Self. You don’t just have the shadow. You don’t have a generic shadow. Joe Perez’s shadow, Marc Gafni’s shadow, Ken Wilber’s shadow, Sally Kempton’s shadow, and Diane Hamilton’s shadow are all distinct, as distinct as our Unique Selves are… Unique Shadow carries the same core DNA quality, the same fingerprint as your Unique Self. You don’t have shadow. You have Unique Shadow. Just like you have a Unique Self, you have a Unique Shadow. That then brings into play the next major idea… and with this we finish, at least we’ve traced the idea. Unique Shadow can bring you back to Unique Self. Actually, you can do not just 3-2-1, but 3-2-1-0-3: third person quality–what you see in someone else; you then talk to that quality in second person; then in first person, you locate it in yourself; then you locate the key quality and that’s Unique Shadow. People have Unique Shadow, the place where they always mess up, the place that’s always in the way which derails them in a fundamental way. Every single person listening right now knows what I mean. It’s that unique place where you mess up. You’ve been dealing with it for years. It’s a distortion of your Unique Self, so paradoxically it can guide you back to your Unique Self. Shadow is the way back to the Unique Self. Do I have another minute to get to the bottom of this? Marc: Here’s an example. I was working with someone in Switzerland a few years back who is a very fantastic educator. This person, a woman, who had been teaching at an elite private school for many years had this one strange quality. Every six or seven weeks, she would get into an arbitrary serious fight with someone else on the faculty or someone in her circle. When she wasn’t getting into one of these arbitrary fights, she was (and is) just the nicest, most gracious person in the world. And these fights were almost always about nothing. They were arbitrary. So in doing a deep piece of work, at some point I asked her to be my teacher for three weeks. Being a teacher was important to her Unique Self. So for three weeks she taught me. We did a set of passages. She facilitated me comfortably. I felt held; [it was] beautifully done. But I realized that in three weeks she never once said anything definitive about what she felt about the text, what her understanding was. It was a profound holding, a teaching of the feminine … but lacked any masculine certainty of insemination. There was no masculine moving into me; there was no sharing with me her deep certainty, which I could then take into my system. There was a complete lack of the masculine thrust quality of teaching. So what happened? Her Unique Self was teaching. She had put into shadow a huge dimension of her Unique Self: the masculine dimension of the teacher. The reason of course was that in this liberal Switzerland context, facilitative teaching was not only the norm but the ultimately valued and preferred way of teaching. But what happened was the kids weren’t getting what they needed from her. She had profound certainties about life which her students never felt, so her Unique Self was distorted. How did it play out? She claimed false and arbitrary certainties every six or seven weeks in arbitrary arguments in which she would draw a line in the sand essentially over nothing . She was playing out her Unique Self quality in shadow form. Once she figured this out it was a massive a-ha. She had worked with this quality for years and years. Slowly, over a period of months, this shadow quality disappeared as she shifted her teaching style and integrated a powerful masculine, in balance with the feminine, and therefore healed and evolved her Unique Self of teaching. It wasn’t just shadow at play; it was Unique Shadow. The Unique Shadow was a distortion of Unique Self. Then she could follow that Unique Shadow back to herself.